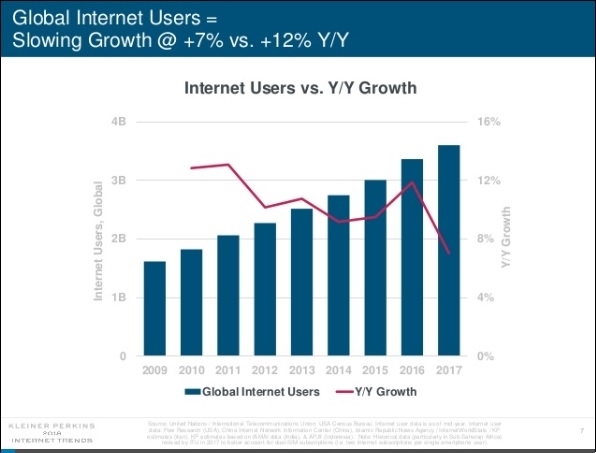 Mary Meeker, the internet trends guru from Kleiner Perkins Caufield & Byers, has just released her annual examination of the global technology landscape. Meeker understands consumers’ relationship with technology. Her insights identify changing marketplace strategies and business practices. In her Internet Report 2018, one shifting strategy she calls out is Google’s move from online ad platform to ecommerce platform. Equally significant, she notes, is the fact that Amazon is doing the direct opposite. Internet penetration is slowing down. While more than half of the world’s population is now online, new Internet users only grew by 7% in 2017, down from 12% a year ago. Smartphone growth shows a similar pattern. Further, with limited new users, apps will find fewer to sign-up. Consumer are not disconnecting from media. In fact, digital media consumption continues to increase.S. 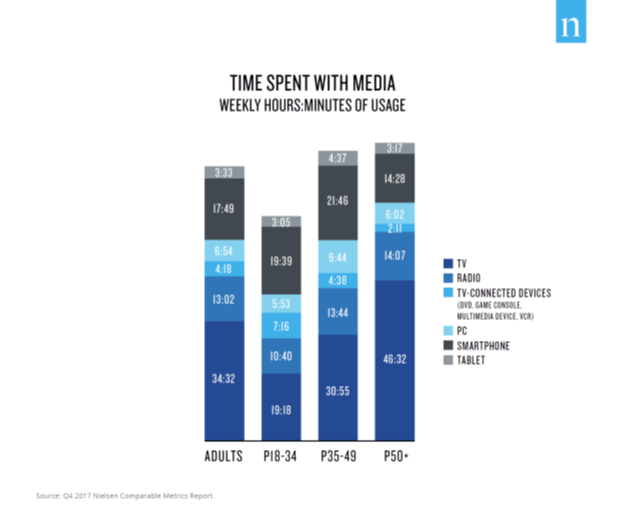 adults spend 5.9 hours per day on digital media compared 5.6 hours a year ago. Mobile, especially mobile video usage is responsible for the overall growth in time spent in digital media. Mobile payment adoption is growing. The payment process is also becoming easier to complete. A gap exists between mobile time spend and ad spending there. Twenty-nine percent of time is spent in mobile but only 26% of advertising dollars. This creates a 7 billion opportunity in the mobile advertising marketplace. Tech companies are a core component of the U.S. economy. They account for 25% of U.S. market capitalization. 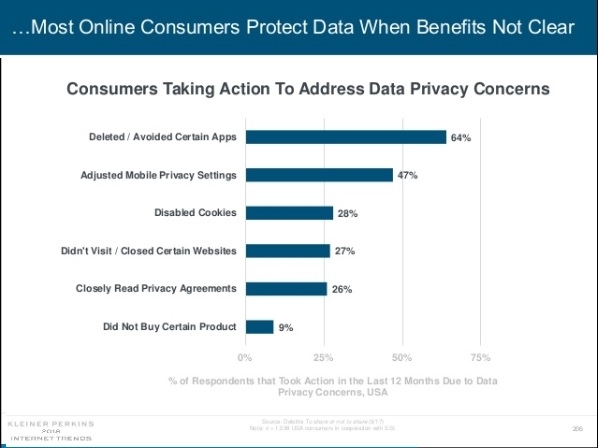 However, consumers question their business strategies of using personal data to provide better consumer experiences while violating consumer privacy. Only one-quarter (25%) of U.S. adults report they are willing to share personal data for benefits (lower costs, etc.). Further, close to two-thirds of U.S. consumers delete or avoid apps because of data privacy concerns. Voice-controlled products like Amazon Echo show significant growth. The Echo’s installed base in the U.S. grew from 20 million in the third quarter of 2017 to more than 30 million in the fourth quarter. News behavior in listening to news, music and shop are emerging. Meeker’s 294-page presentation offers a snapshot of the marketplace. It provides broad economic trends and studies global growth. The report is well-worth the read to keep pace with the marketplace. Millennials are modern day media unicorns. Marketers, advertisers and content providers are all chasing these mythical, mysterious creatures; digital natives whose behaviors potentially preempt the next wave of mainstream media consumption. But how do you spot one in the wild and target it with your brand and content? 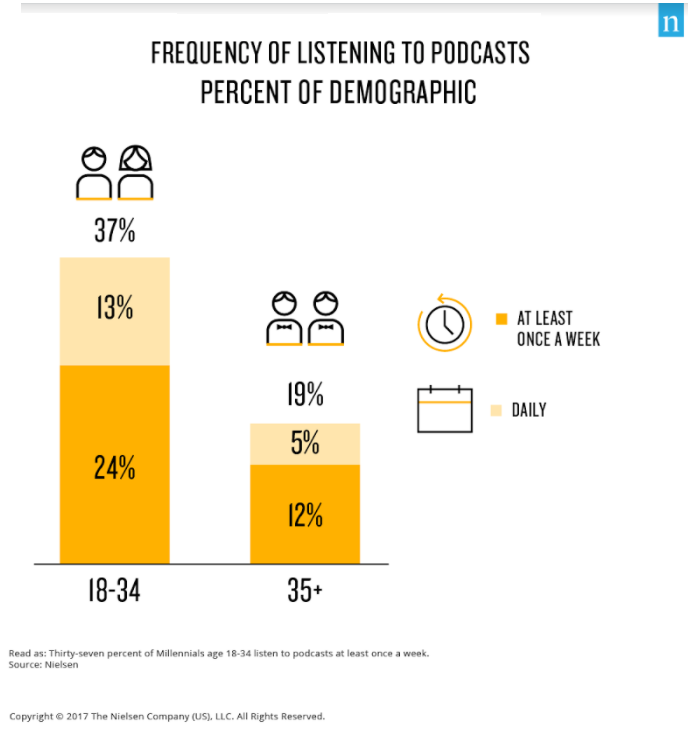 Recent research from GlobalWebIndex (GWI) and Nielsen (as discussed last week by Peggy Anne Salz, Founder and Lead Analyst at Mobile Groove) offer us some tangible insights, into the habits of this cohort, in both the US and globally. This shouldn’t come as a surprise, but the extent of their devotion to this device might. The average member of Gen Z (adults aged 16-20) spends 3 hours 38 minutes a day on their cellphone, around 50 minutes more than the global average. 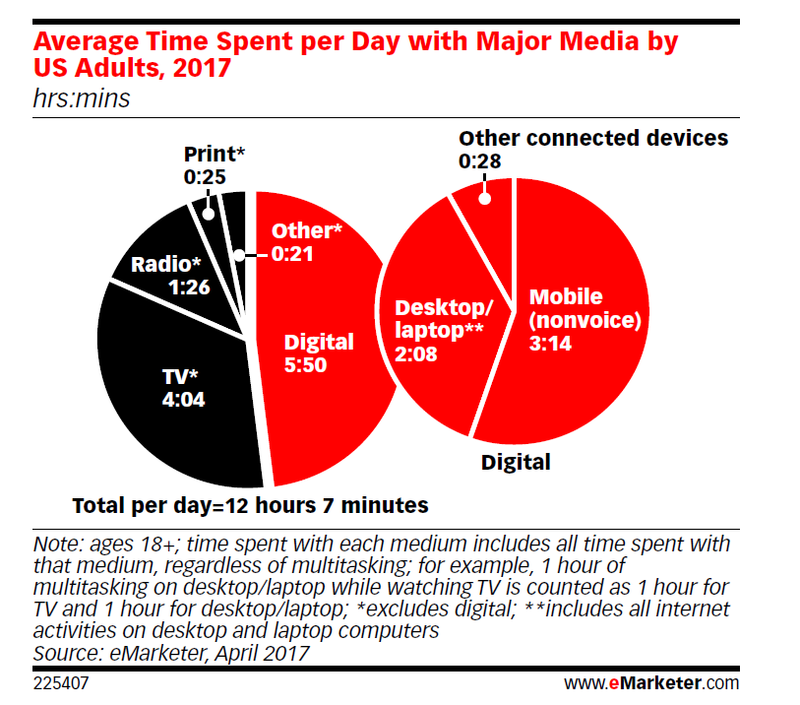 As a result, for younger millennials, time online via mobile is greater than internet time on all other devices combined. And in terms of ownership, GWI data found that 96% of Gen Z and 97% of Millennials (21-34) own a smartphone. 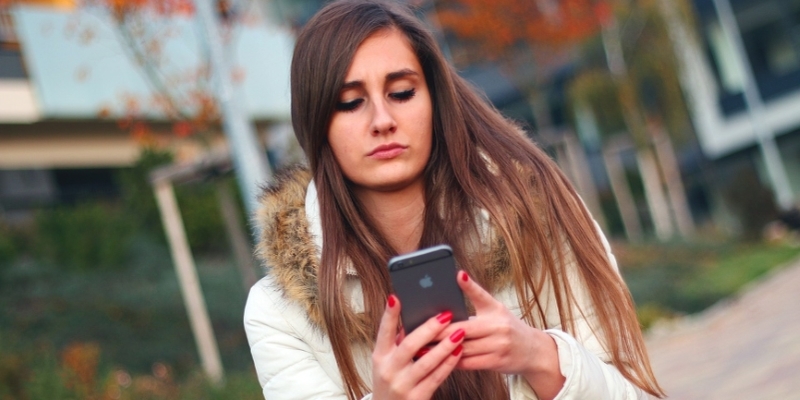 That’s up from 84% of 17-31 year olds who owned a smartphone at the end of 2014. Consumption of services ranging from YouTube (visited by 93% of online Millennials each month outside of China,) to catch-up TV services and OTT providers – especially Netflix – all overindex with millennials, with their viewing experience often mediated through mobile. “Many commentators argued that the larger screen sizes and resolutions of PCs, laptops and tablets would forever anchor them at the center of video consumption habits,” recalls Felim McGrath, senior trends manager at GlobalWebIndex. “Although these devices remain important to Millennials, video engagement [and] the boom in video consumption on mobiles and via social has had a profound impact on the industry,” he said via email. 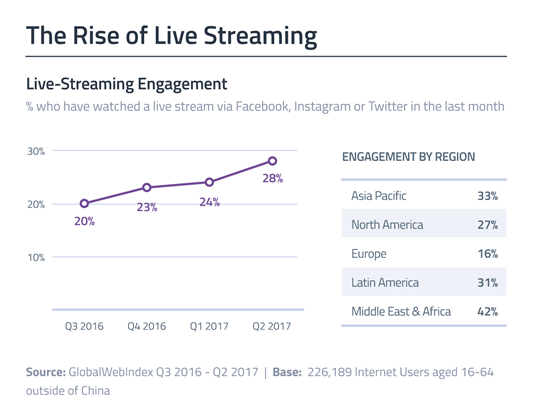 According to GWI’s latest data, 28% of all internet users have watched a live stream on Facebook, Twitter or Instagram, as this product rapidly becomes mainstream. Interestingly, however, it’s the emerging markets that are leading this charge, with Europe and North America bring up the rear. Given the propensity for ad-blocking around the world, particularly in the mobile-first markets of Asia-Pacific, it’s imperative that publishers improve the ad experience and find new ways to achieve the same revenue raising goals. 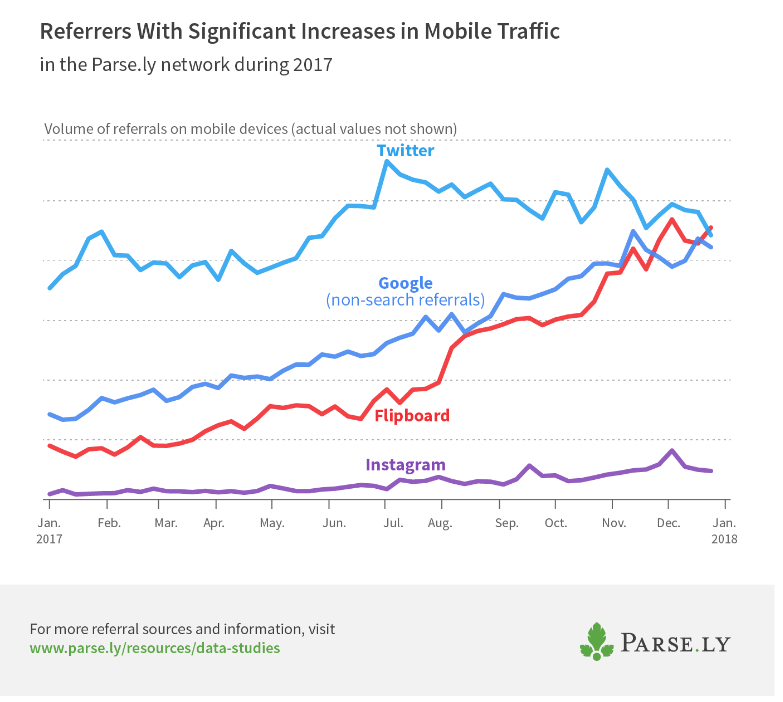 Although mobile ad-blocking adoption has taken off more slowly in North America and Europe, data from other regions indicates how this might evolve if consumers become more aware of the tools they can use in this space. 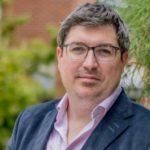 At present, GWI has previously reported, “only half of internet device owners in the United States are even aware that they can block ads on their mobiles.” Yet, at the same time, “1 in 3 [American] smartphone owners say that they see too many ads when browsing the mobile internet.” You don’t need a crystal ball to join up the ad-blocking dots. This is important for brands, given the prevalence of ad-blockers with younger audiences. GWI’s global sample found that 44% of Gen Z (16-20 year olds) and 51% of Millennials (21-34 year olds) had used ad blockers. Drivers for this include concerns over the impact of mobile ads on data allowances, a dislike for pre-roll adverts and frustration at the volume – and irrelevance – of many online ads. Although still a niche, and for some a rather baffling market, large media companies – and an increasingly sizable millennial-led audience – are enthusiastically embracing this emerging vertical. 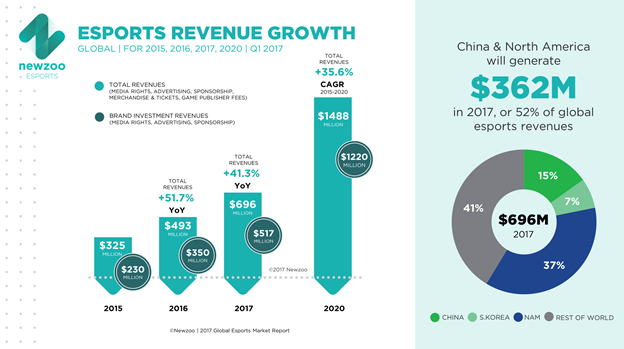 Led by engagement in China and other Asian markets, GWI’s research indicates that internet users in APAC are 32% more likely than the global average to view eSports tournaments. Although a relatively nascent genre in North America and Europe, ESPN already has a dedicated eSports vertical, with other networks such as NBC Sports and TBS also following them onto the field, making this an online genre worth keeping an eye on. Analysis from Newszoo, published in February this year, predicted that the eSports market will be worth $696 million this year (a year-on-year growth of 41. 3%) growing to $1. 5 billion by 2020. The top market, revenue wise, is North America, with incomes of $257 million anticipated this year, rising to $607 million at the end of the decade. “While this medium is still developing as a platform for brands, the marketing potential and revenue opportunities which this new genre of gaming entertainment offers needs to be better understood,” said McGrath. Finally, for an indication of where all four of these previous trends are aligning – and to see how innovative publishers and media companies are addressing these challenges – McGrath encourages industry leaders to look more closely at some of the biggest APAC markets. Both South Korea and China have played a pivotal role in the advent of eSports, with Chinese media giant Tencent reportedly committing $15 billion to the genre over the next five years. According to Mashable, over 47% of Tencent’s 2016 revenue came from games, including eSports, inspiring other Western tech companies to try get in on the act. Amazon, for example, already owns the eSports service Twitch, which has 100 million global users, whilst Facebook has signed eSports deals and is exploring other opportunities with content providers in this space. The dramatic growth and diversification of Tencent (now the 10th biggest publicly traded company in the world by market value) and other players in China – such as the news aggregator Jinri Toutiao and the video app Mango TV, which is expanding rapidly among Chinese millennials – offer a further heads-up as to how social and mobile may evolve in more western markets. Subsequently, McGrath identifies China as the overseas territory that industry leaders in the USA and elsewhere should be monitoring more closely. “Consumers trends within the country are often examined but the lessons here are still worth understanding,” he suggests. Although China is a distinctive market, McKinsey noted back in 2012 that “the ingredients of a winning strategy are familiar. ” Their recommendations – such as the need for authenticity, digital experimentation, and the linking of all online activity back to core brand goals – would be recognizable to anyone working in this space, wherever they may be in the world. Jump forward to 2017 and China’s biggest social networks are real pioneers, having typically absorbed other activities – ranging from eCommerce to transportation, video calls, messaging services and digital payments – into their apps, creating their own online walled gardens and a model for growth that many in Silicon Valley seek to imitate. “The evolution of social media in the country, particularly within the realm of commerce and gaming, is leagues ahead of that seen in western markets,” McGrath concurs. “Also, it’s Chinese companies that have truly grasped the vast potential that the smartphone offers, across almost all industries,” he said, making them – as well as the Chinese market – one to watch. Collectively, these five developments provide publishers with a range of insights into key considerations such as evolving delivery formats, emerging content genres, and new potential revenue sources. Given their impact and influence of these areas on millennials, these are trends that no media company can ignore. To do so, risks overlooking a lucrative young audience, and means publishers may be on the back-foot when these habits tip over into the mainstream. That’s a scenario every company should clearly seek to avoid. Damian Radcliffe is the Carolyn S. Chambers Professor in Journalism at the University of Oregon, a Fellow at the Tow Center for Digital Journalism at Columbia University and an Honorary Research Fellow at the School of Journalism, Media & Cultural Studies at Cardiff University. According to PwC’s annual report, Perspectives from the Global Entertainment and Media Outlook, today’s entertainment and media companies must be “fan-centric.” And to remain competitive, they must use technology and data to attract, retain, and engage consumers. Content and distribution remain important factors in monetization and healthy survival rests on a positive user experience. Businesses built on occasional and noncommittal visitors are not likely to succeed. Understand what drives fan loyalty for your brand. Analyze and know the value of different audience or user segments. Build brand extensions to create new revenue opportunities among your passionate fan base. Super-serve fans and compete in the direct-to-consumer marketplace. Build an end-to-end user experience that includes customer acquisition and retention, personalization, customer service and billing. 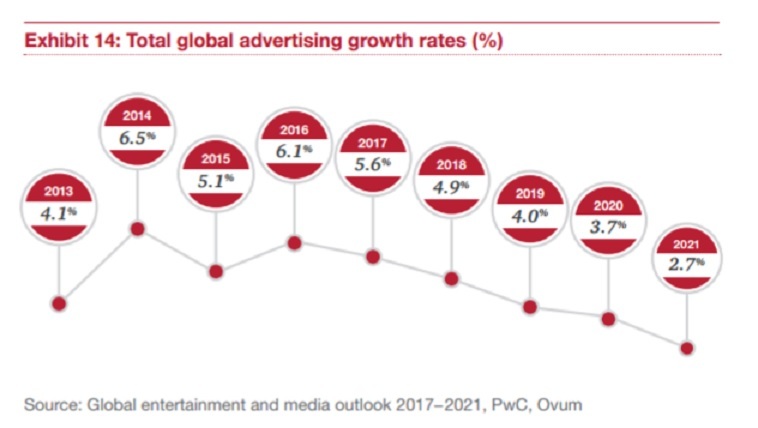 PwC also reports that most of the traditional entertainment and media industry, TV advertising, B2B content, and cinema, will decline as a share of the global economy in the next five years. And while digital video and advertising show growth opportunity, it’s at a decelerating rate. In addition, several new content and entertainment businesses — music streaming, e-sports and virtual reality — are just ramping up of which the latter two are not yet mainstream. Therefore, consumer consumption and spending on media and entertainment will not outpace the GDP. Today’s marketplace presents numerous challenges for media and entertainment businesses. They must manage their current delivery platforms and experiment with new distribution platforms and revenue streams all while remaining consumer-focused across all platforms. The avalanche of mobile services and apps has led to a sizeable shift in media consumption towards mobile. But the smartphone is not always competing for people’s attention. To the contrary, a new report from Deloitte tells us the smartphone enhances TV viewing experience. But this bright spot can’t disguise the brand imperative to re-think advertising to engage audiences, not annoy them. Drawing on a survey of 2,131 U.S. consumers Deloitte’s 11th Digital Democracy Survey highlights how key audience segments including Millennials, Gen X and Gen Z (in other words, a broad spectrum of user ages 14 and above) interact with mobile, video, TV and the Internet. While the findings are not surprising, they are an important confirmation of people’s attitudes and behaviors and the trends sure to shape the future of media. But it won’t be a walk in the park. Yes, there is ample proof that American consumers streamed, “binge-watched” and demanded more media than ever in 2016. However, there is also an increased reliance on social networks (and friends) to make purchase decisions. Social recommendations are proving “more influential” than traditional advertising, the report says. For example, nearly one-third (27%) of Gen Z respondents say an online recommendation from someone within their social media circles can highly influence a buying decision. Multitasking also makes it tougher for traditional media, such as TV, to grab (and keep) audience attention. The shift to second-screening may enhance the viewing experience. (I’m thinking here of the uptick in mobile app interaction and social media sharing that coincides with the broadcast of cult shows like The Walking Dead). It also detracts from the effectiveness of TV advertising. The verdict from Deloitte: “Enlisting online influencers and creating social buzz” are likely the more effective avenue for getting through to younger consumers. Amid the doom-and-gloom data that leads us to believe consumers hate ads, a few surprise findings (buried on page 12) show the way for brands to improve the experience for consumers and the effectiveness of their advertising. More than half of all consumers say they would be willing to receive advertising on their smartphones based on location. Significantly, 46% said they would pay more attention to an ad if they were able to make the call on whether they view it or skip it. It’s a report that reinforces what has become my mantra: People want what they want – when, how and where they want it. 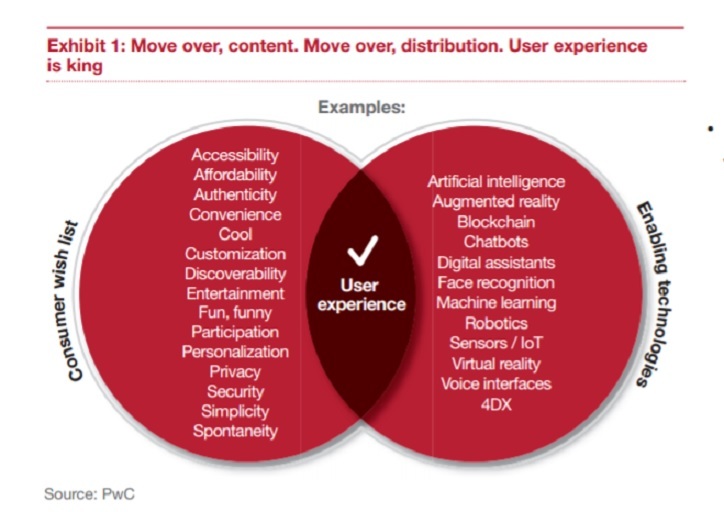 Consumers crave more geographic relevance in their advertising and they want more control over the advertising they have to view as a condition to access and enjoy content. Clearly, brands are well advised to adapt their advertising approach to these consumer requirements. There is no guarantee the changes they make will trigger a conversion, or win customer loyalty. But it’s sure to grab at least some attention. And in a world where consumers are multitasking and massively reliant on their social circles, a little attention can mean major traction. 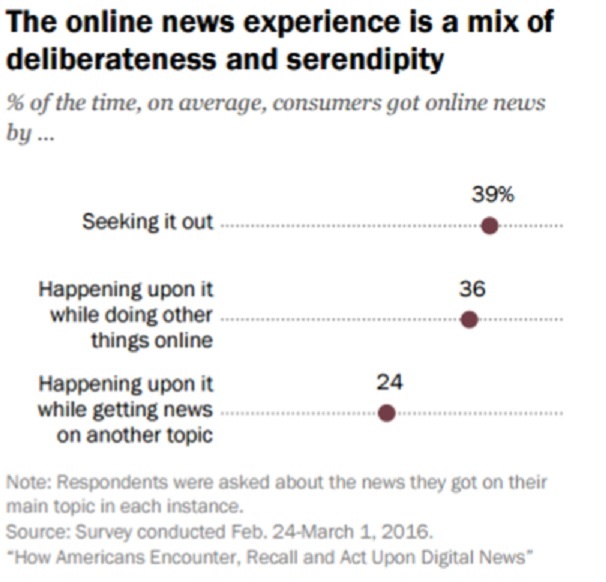 Online consumers are aware of the news sources they consume. In fact, over half of respondents (56%) could provide a name of the digital news source if the followed a link to the story. The links come from social media; news organizations’ emails, texts and alerts; or the emails and texts of friends or family. 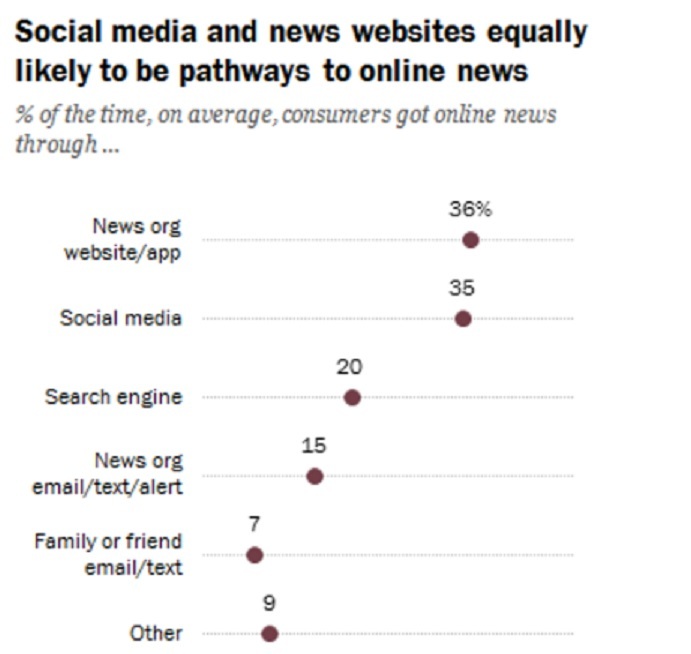 The report also identifies the pathways online news consumers use for specific content categories. Business and finance news, for example, are 53% more likely to be accessed directly on a news website than social media (12%). Entertainment news, in contrast, is more likely to be found on social media (53%) than on a news website (25%). Consistent with previous findings, about half of both 18 to 29-year-olds (47%) and 30 to 49-year-old (42%) online news consumers received their news through social media as compared with less than of quarter of older adults (23%). Interestingly, women who consume news online (39%) obtain news through social media slightly more often than male online news consumers (30%). In contrast, more males who consumer news online (43%) go directly to websites than women who consume news online (29%). When 18 to 29-year-old online news consumers click on news links, they remember the source about half the time (47%) compared to 30 to 49-year-olds and 50 and older (57% and 61%, respectively). In terms of naming their news sources, CNN was recalled by 14% of those who followed links, Fox News 12% and Facebook 10%. Important to note, Facebook is not a publisher, it only distributes news, it does not produce content. The New York Times, The Huffington Post, MSNBC, Yahoo, ESPN, The Washington Post and CBS were reported between 3% to 6%. 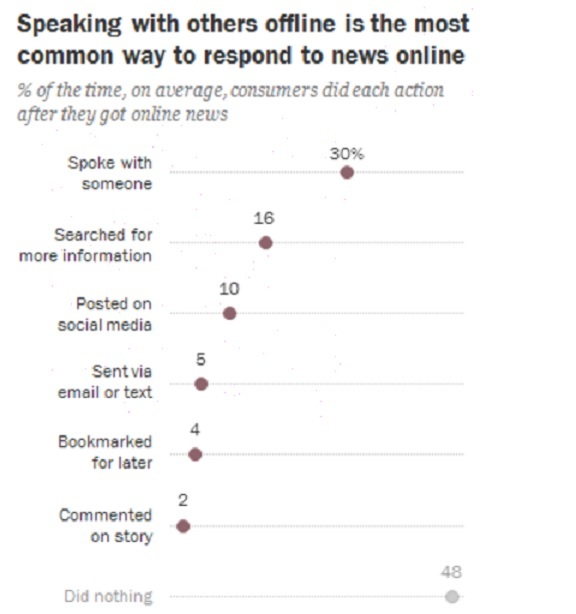 Online consumers seek out the news online about 40% of the time, compared to 24% of the time when online news consumers come across news story while already getting news about something else. Online news consumers are just as likely to follow up (58%) on news content they consume as often as they do not (42%). In terms of follow up actions, speaking with someone in person or over the phone is the most common action to take (30%) searching for more information (16%) and posting on social media (10%). The study also found that news that comes directly from a news site tends to be recalled more often but is less likely to bring about any action such as discussing, sharing or commenting. In contrast, news that comes through a personal connection, an email and text from friends or family, is most likely to bring about a follow-up action. Additionally, the follow-up actions taken tend to remain within the landscape in which the online news originated. In other words, news found on social media is more likely to then be shared on social media sites, while news that comes through search engines is more likely to lead to additional searches. Today’s online news environment faces many challenges. 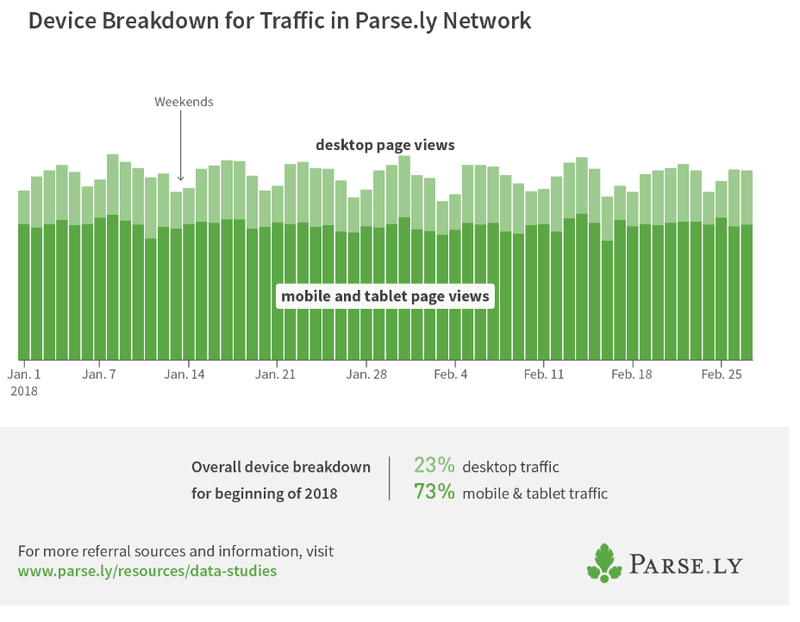 It’s important for digital publishers to identify and understand the different digital media habits, especially since consumer attention is splintered across multiple news sources and platforms. Publishers can now align their strategies, to strengthen brand equity, build engagement and encourage social action, by identifying the best pathway to showcase their online news coverage. 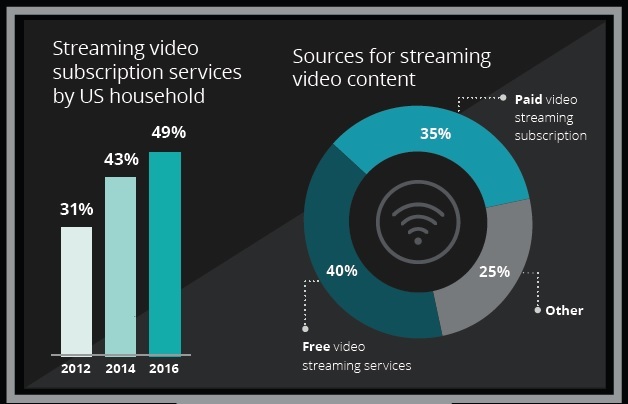 The Streaming Video Alliance (SVA) examines the role of the smartphone in the transition of television viewing experience in its study The Mobile Video: Exposed. According to their research, consumers are using their smartphones consistently to watch more video content. 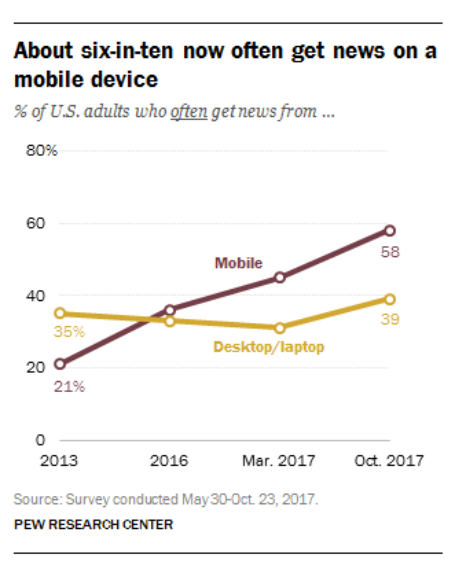 Whether it’s user-generated content (YouTube), how-tos, or news, consumers seem to enjoy watching on their pocket-sized computers. The dominant location for watching video on the phone is at home. It is interesting to note that consumers are opting to watch video on their phones rather than watching it on TV. This might suggest a time constraint or it might be a conscious decision to watch content that isn’t available on broadcast channels. Whatever the case, SVA suggests that the mobile phone is becoming a surrogate for broadcast television most likely because of the kind of content it can provide. However, the SVA has not found the smartphone to displace other, larger screens. That said, they report that it is playing an increasingly important role in how people consume video content. Not only are people watching more video on their phones while at home (displacing attention from the television), they are also using the smartphone to watch video more because of the ease in being able to share the experience with others. 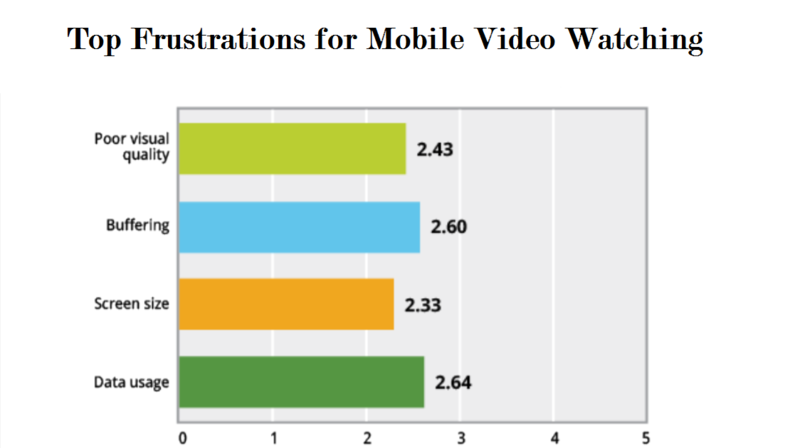 The Mobile Video: Exposed study is part of the Streaming Video Alliance’s series of annual surveys that explore consumer perceptions and behaviors around watching video on mobile phones. 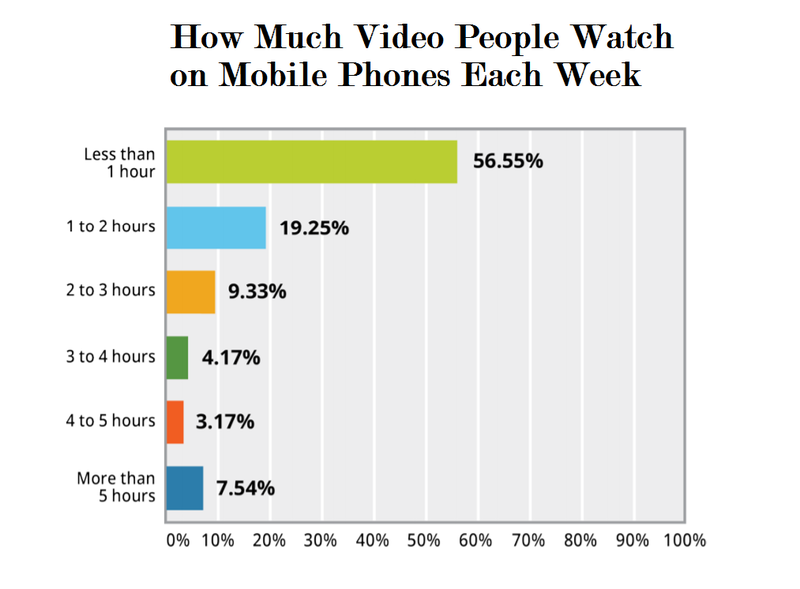 25% of consumers watch more than 2 hours of video on their smartphone each week. iOS is the dominant mobile operating system through which consumers watch video, but Android is a close second. When it comes to watching video on their phones, consumers opt for web streaming versus using an app. 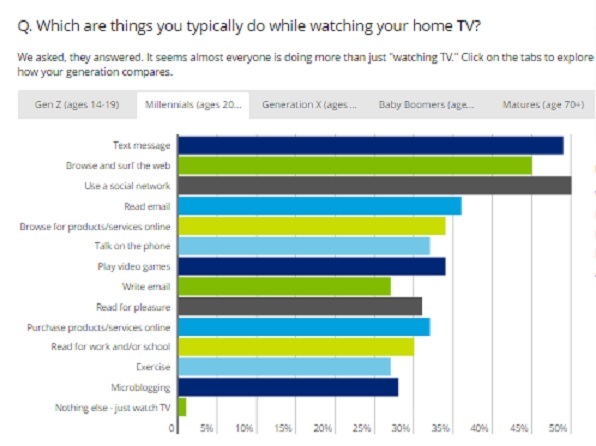 Consumers are most often watching video on their phones at home. When watching video through social networks, Facebook is crushing the competition. Buffering and data usage top the frustrations for mobile video watching. Despite growing in popularity, mobile video still plays second fiddle to most other video sources. Although broadcast television still holds its sway, the mobile phone is encroaching on the experience. On mobile, consumers like to watch on their mobile phones? UGC, How-Tos, and News most. With more data, consumers would watch more video on their phones but they won’t pay for it.